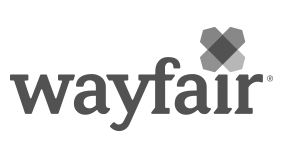 With Wayfair’s aggressive growth comes the need for strong financial partnership, planning, and support across the business. As part of the finance leadership team, the Head of Strategic Finance will manage a team that works closely with every executive leader to deliver a comprehensive understanding of our business drivers, including connecting those drivers to our financial management processes across the company. This role collaborates with business unit leaders across the company, drives strategic decisions, and directly impacts the future direction of Wayfair's fast growing business. Working across the business, the candidate must ask strategic questions which will inform financial insights shared with senior leadership and the board. As such, the ideal candidate will excel in executive-level interactions and consultations. Partner closely with business leaders throughout the company to build collaborative working relationships and influence them to superior results through data driven insights. Provide thought leadership to position the team of 5 for growth over the next 24 months. Drive various regular and ad hoc analytical projects that deliver key insights for making critical business decisions. Streamline processes, optimize financial systems, and help build out reporting infrastructure, tools and technology. Drive planning, forecasting and reporting related processes across the company as an analytical thought leader. Help design and build presentations for Executive and Board level audiences. A highly analytical background. You enjoy tackling new challenges in a fast-paced, growing environment. Facility with executive-level consultations. This requires demonstrated skills in fact-based analysis, clear communication, and interpersonal interaction. Bachelor’s Degree, and 9+ years of experience in finance or strategy with a bias towards quantitative analysis. Superb attention to detail and the ability to prioritize and deliver in a fast-paced environment. Expertise in quantitative analysis and presentation. Proficiency with Excel and PowerPoint. Ability to work cooperatively and collaboratively with all levels of employees and executive management. Executive presence coupled with strong interpersonal skills, with an emphasis on teamwork, initiative and integrity. Previous experience in private equity.